For years, e-books have been growing at a rapid pace. Kindles sold in the millions, and some started to wonder whether e-books would one day replace their analog counterparts completely. 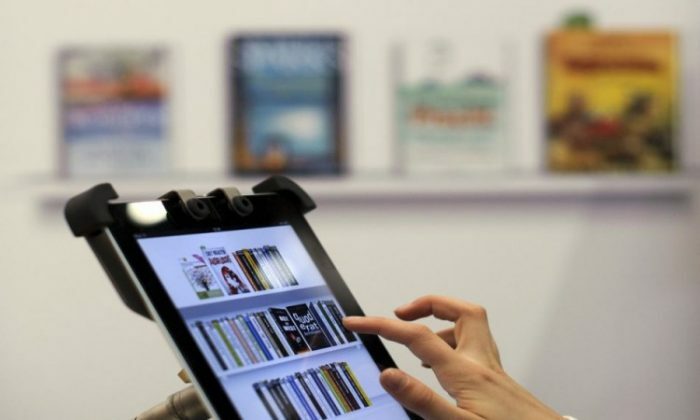 Then last year, the sale of e-books curiously stopped growing, appearing to have hit a plateau, according to the Association of American Publishers. In retrospect, it’s was obvious that digital text would never completely replace paper books, for the simple reason that readers overwhelming prefer real books to e-books. In her book “Words Onscreen: The Fate of Reading in a Digital World,” linguistics professor Naomi Baron surveyed more than 420 students from the US, Germany, and Japan in 2010 and 2013 about their preferences for reading on paper versus a screen. In 2010, 92 percent of the students in the US, 77 percent of the students in Japan, and 95 percent of the German students said they preferred paper textbooks over e-books. The primary reason that they used e-books wasn’t that it was better to read or more convenient to carry around, but simply that e-books, being easy to reproduce, were much cheaper than traditional textbooks books, and students aren’t known for being flushed with cash. Open answer responses to the survey pointed to reasons like convenience and saving space. Numbers were similar in the 2013 survey. If the cost of e-books and paper-bound books for leisure reading were the same, about 80 percent of the students in all three countries said they would pick paper. For textbooks, the numbers were generally higher, and 94 percent of German students they would use paper textbooks if the cost were identical. Among those who did prefer e-books, the biggest motivator wasn’t that they provided a better reading experience. American students, especially, were strongly concerned about the environmental impact of cutting down trees to obtain the raw material for the books. In 2010, 21 percent of students said being ecological was their number one reason for liking e-books.